Artist page: hip hop R'n'B, singer and dancer, video, songs and more! 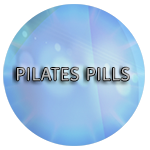 Blog page: Pilates Pills Online Community. Blog di Pilates Pills: video, corsi, community. Personal Trainer Info and Bio!